Is Your Child Suffering from Allergies? Approximately 20% of children and adults suffer from allergies. An allergy is the body’s immune system reacting to environmental elements. In general, children are more sensitive to allergies than adults. The development of allergies is genetic; if a biological parent has allergies the child has a 75% chance of getting them. The most common allergies are to food, house dust mites, animal dander and pollen. These allergies can result in hay fever, asthma, and eczema. What Tests are Available for Allergies? Your doctor will determine which test is best for your child. Regardless of the test given, both types are about 90% accurate. In addition to the test, your doctor will evaluate family history and perform a physical evaluation. 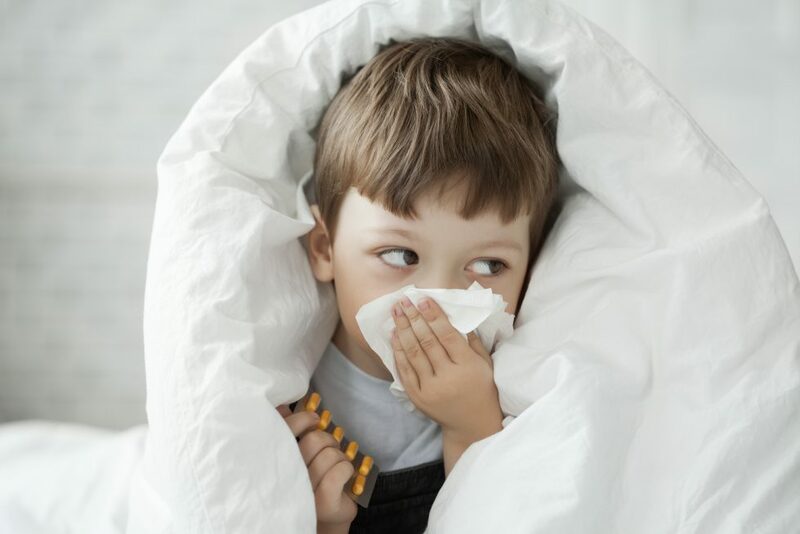 If your child tests positive for allergies, your doctor will help you determine a treatment plan. Your doctor might suggest medicine or suggest ways to cut down or eliminate substances that can cause an allergic response in your child. Many allergies are mild to moderate and can be easily managed with an effective treatment plan. If your child suffers from Cedar Fever, Hay Fever or other pollen allergies, he or she shouldn’t play outside when the pollen count is high. The National Allergy Bureau tracks pollen counts across the country. The pollen count for the Austin area is tracked from Georgetown. You can sign up for an allergy e-mail alert to stay informed. It is important for your child to stay active indoors if they can’t go outside to play due to allergies. Games such as Wii Fit and X-Box Kinect can help get your child moving and entertained! Call the Pediatric Center of Round Rock at (512) 733-5437 if you are concerned your child may be suffering from allergies.